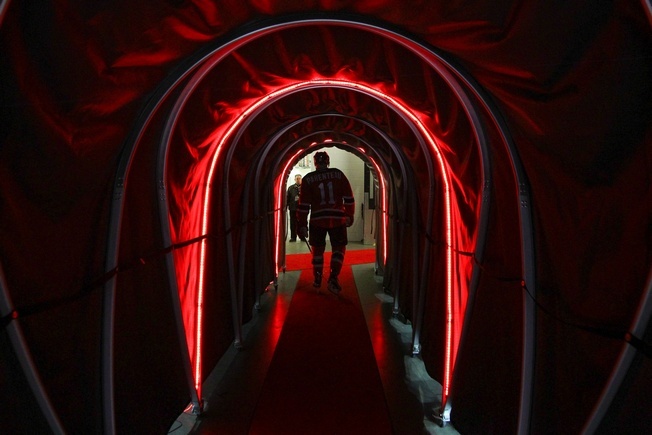 The New Jersey Devils have traded P.A. Parenteau to the Nashville Predators in exchange for a sixth-round pick. The deal comes on the heels of New Jersey sending defenceman Kyle Quincey to the Blue Jackets. 33-year-old Parenteau is another veteran presence, with 27 points in 59 games this season. The winger plays an offensive game and can put up some goals, especially on the power play. He has four power play goals this season and 109 shots on goal, averaging almost 15 minutes of ice time a game. In 483 career games with the Devils, Toronto Maple Leafs, Montreal Canadiens, Colorado Avalanche, New York Islanders, New York Rangers, and Chicago Blackhawks, Parenteau has developed a reputation as a decent journeyman forward. With the Predators sitting at third in the Central Division with a 32-22-9 record, Parenteau should give their lineup some forward depth. But it’s the man-advantage boost that they’ll be looking at the most. The Devils, meanwhile, are on the outside in the Metropolitan Division with a 25-25-12 record. That puts them seventh after Monday’s loss to the Montreal Canadiens.